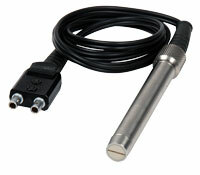 Ultrasonic transducers and probes are designed for your precision material inspection requirements. 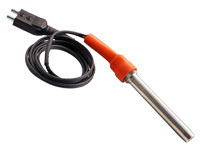 Our complete line of high quality probes and transducers are available in various frequencies and diameters. 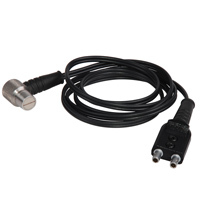 Don't see the ultrasonic transducer required, please contact us. 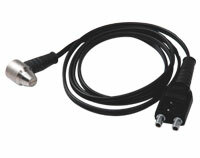 Top-in cable with 1 inch extension "snout"
Features an extended wear face with minimal contact area. 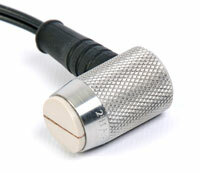 1/2" diameter, 10.00 MHz dual element transducer typically used to measure cast aluminum parts.